Tech Review: Top Platforms Your Organization Should be Using - Redstone Agency Inc. These days, it seems like there is an app or platform for anything and everything you need. Electronic wallets, calorie counters, dating platforms, food delivery services – you name it. But what about those platforms that can help you in your professional life to increase efficiency, time management and ultimately, make your life and your business operations easier. Check out Redstone’s top picks for the platforms that we swear by! slack is primarily an instant messaging software – think modern day MSN messenger. Within Slack, one person can be a part of multiple “teams”. These teams could be with office colleagues, clients, or community groups and they allow members to communicate with one another via instant messaging. Messages are organized by topics, private groups and direct messaging. Creating topics or private groups based on a particular project or theme organizes all content related to that topic into one coordinated stream. This can significantly reduce email inbox volume for communications that are more appropriate for having in an instant manner. All content in Slack is searchable, including files, conversations, and people. You can also integrate other useful third-party platforms into Slack such as DropBox, Google Drive, Trello, and many more. Fun fact: Slack stands for “Searchable Log of All Conversations and Knowledge”. This one seems like a no-brainer, but you would be surprised how many people do not utilize the powers of collaborative work. 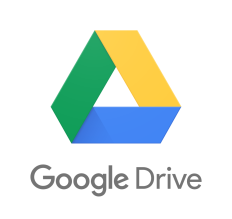 Google Drive is a file storage and synchronization service that allows users to store, synchronize, and share files across devices. Having truly living, breathing documents allow committees, board members, and clients to collaborate on the same document and see changes live without the fear of writing over someone else’s work or working off of an outdated document. It also gives team members access to one central space to house important documents for a project. This way team members only need to click that one Google Drive link to obtain everything instead of looking in multiple places for numerous documents. Storing documents on a drive such as this one also provides the added benefit of always having a backup of important documents. Tech can always have flaws, so storing documents online can eliminate the risk of losing files from a server crash. Zoom is a communications software that combines video conferencing, online meetings, chat, and mobile collaboration and is one of Redstone’s favourite conferencing tools. The platform not only allows you to host conference calls and video conferences but should also be used as a collaboration tool as it allows participants to share their screen or upload materials for a presentation. It can also be used to increase participation and engagement during conference calls. Sometimes it’s all too easy to just sit and listen to a conference call while you focus on other work. However, by using Zoom and its video functionalities, it can keep committee members more engaged throughout the duration of a meeting by having visuals and face-to-face time via video. Zoom is also a great resource for hosting webinars. The platform allows for live polling and question/answer dialogue boxes, registration and post-webinar reports, closed captioning, and the ability to monetize your webinars with their PayPal integration. With Zoom, the possibilities are endless! Hootsuite is a social media management dashboard that allows you to manage multiple social media networks and profiles in one convenient place. This platform is truly a life saver for Redstone as we are responsible for overseeing and managing numerous clients’ social media accounts and having the ability to schedule Tweets and posts ahead of time is crucial. In today’s world, social media is so important and it’s a staple of the marketing mix. With platforms such as Hootsuite, there is no excuse for organizations or businesses to not be present or up-to-date on all social media channels. 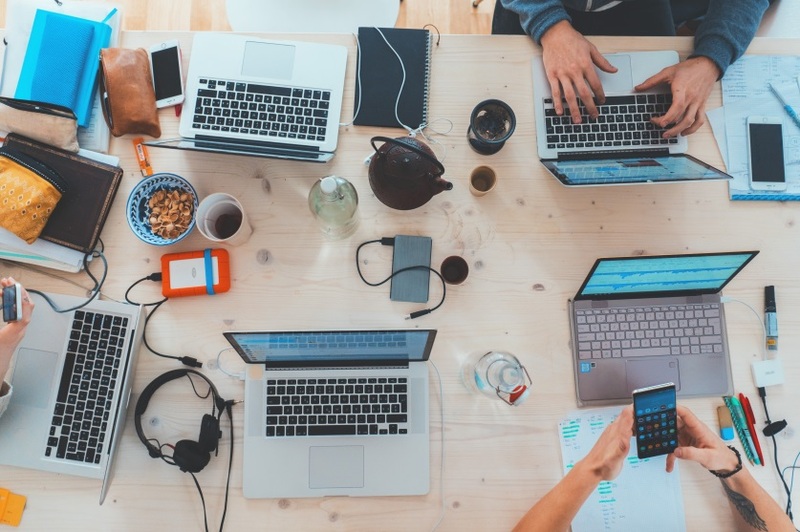 Hootsuite can also assist in an organization’s content strategy as it allows designated team leaders to approve outgoing content, so social media posts are always on brand. Within Hootsuite, you can also track social ROI and measure the impact of social media campaigns through their comprehensive reporting capabilities and analytics. With that being said, one drawback with Hootsuite is that you can’t schedule Instagram posts, so you’ll just have to remember to post on there separately! Doodle is another platform we frequently use at Redstone. Everyone understands the pain of trying to find a meeting time that works for every board or committee member and with everyone’s busy schedules, it can seem nearly impossible. Doodle was made to make this mundane task easy. Doodle is an online calendar tool for time management and coordinating meetings. It allows individuals to simply check off dates and times they are available, and it visually presents times that would work to hold the meeting. This tool is crucial for keeping inbox volume down and saves you from having to dig through emails to determine availabilities and from sending multiple calendar invites until one finally works. Doodle also has a calendar integration feature that connects your email calendar to Doodle so there is no need to check multiple calendars for your own availability. It can’t get much easier than that! Of course, this isn’t an exhaustive list of the platforms and apps we use at Redstone, it seems like there are new and innovative tools popping up everyday. At Redstone, we pride ourselves on being early adopters of all things tech and utilizing innovative tools to challenge client problems and provide solutions. Have a great app or platform you use daily that isn’t mentioned here? Let us know in the comments below — we love to try new things!